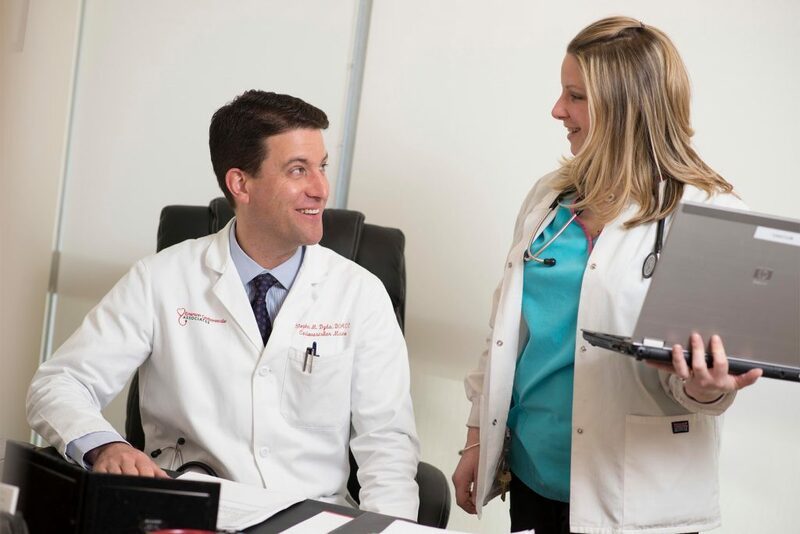 At Emerson Cardiovascular Associates, our cardiologists, nurse practitioner and staff work together as a team—a team that gets to know you and is committed to your good health. Our expertise includes diseases of the heart, as well as the vascular system—the blood vessels. We have special training in diagnosing and treating the full range of conditions, and we emphasize prevention strategies designed to keep you in the best possible health. We provide care in our office at Emerson Hospital on Route 2 in Concord and at the Emerson Health Center in Westford. Emerson Cardiovascular Associates has grown to become one of the largest, most comprehensive cardiovascular practice in the region. Our four cardiologists provide general cardiovascular care to adults of all ages, as well as specialized care for certain conditions. Our cardiologists are board-certified, fellowship-trained and use the most current technology for diagnosis and treatment. They emphasize prevention as a key strategy and provide outstanding general cardiology and specialized care. Please contact us if you require diagnostic testing, a consultation on your heart risk factors or ongoing care that is designed to help prevent heart disease or help you to live well with your condition. We see patients 18 years and older. Discomfort in other areas of the upper body. Symptoms may include pain or discomfort in one or both arms, the back, neck, jaw or stomach. Other signs: These may include breaking out in a cold sweat, nausea or lightheadedness.Note: Women also have chest pain or discomfort as the most common heart attack symptom. However, women are more likely than men to experience some of the other common symptoms, such as shortness of breath, nausea and vomiting and back or jaw pain. If you suspect that you or someone else is having a heart attack, call 911—the emergency response number—that will alert emergency medical services staff, who can begin lifesaving treatment as soon as they arrive at your location.